Denver is a prime example of a real estate grab. 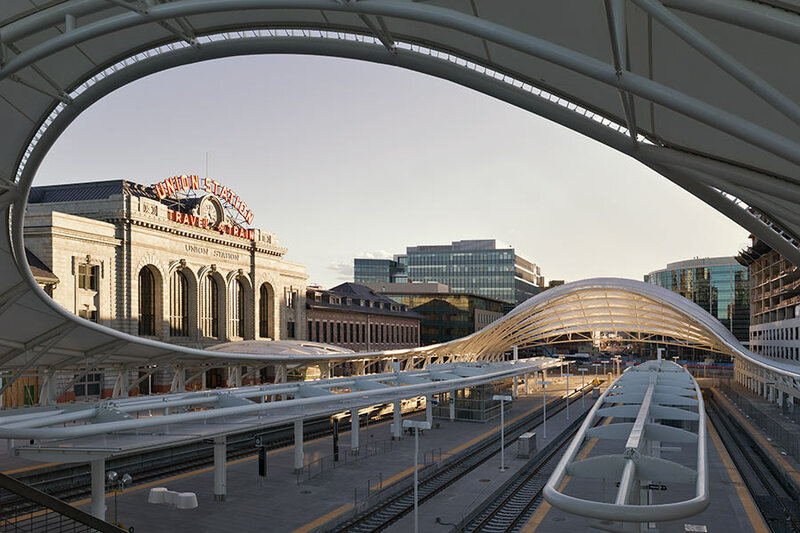 A beautifully designed rail yard gave way to developers interests. Look at the Google Maps satellite view. Transportation design was an obvious afterthought. The rail yard is stubbed, necessitating a time-consuming backup move for any train, namely Amtrak’s California Zephyr, using the original waiting room. Any future Front Range development will also require a backup. The light rail system is tucked away, far from the grand original structure. The wispy “Sidney-Opera-House-Denver” platform cover design is curious. It stands in stark contrast to the architectural elements of the original depot. A Google image search of Philadelphia’s 30th Street Station does not reveal the austere feel purported in this article. What it may need is just a spit and polish rehabilitation. Those who want to remodel the structure seem to stand arrogantly. They claim the original designs were flawed and that somehow modern architects and planners can do a better job. So, will Philadelphia’s 30th Street Station become another depot from the grand era of passenger rail to fall to the modern architect? If the regal designs of the past are too ostentatious, then an entirely new depot should be constructed. The old should be left undisturbed until a new generation of architects discovers that their great grandfathers knew better how to design transportation facilities.